Impatiens: For those who act and think quickly, and have no patience for what they see as the slowness of others. Helps support the upper respiratory tract and assists the body in maintaining healthy breathing passages .Sambu*Guard 6 oz. Optimal Immune Support for Children. This mix was created by Dr Bach to deal with emergencies and crises - the moments when there is no time to make a proper individual selection of remedies. It can be used to help us get through any stressful situations, from last-minute exam or interview nerves, to the aftermath of an accident or bad news. Rescue Remedy helps us relax, get focused and get the needed calmness. Fast, temporary relief from allergy symptoms related to hay fever and other upper respiratory allergies such as mold sensitivities. Targets Southwest allergens. Las Vegas Allergy Mix is a unique blend of eight homeopathic ingredients specifically designed to temporarily relieve allergy symptoms associated with arid Southwest desert regions. 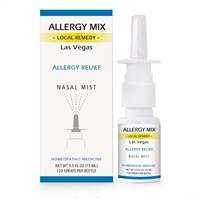 Las Vegas Allergy Mix - Nasal Spray - NEW! With the Solu-pathic Delivery System to provide relief deep into the nasal passages. 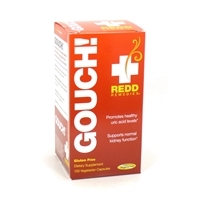 Superb for a continually runny nose, congested, irritated, or dry sinuses. 120 sprays per bottle. Supercharge your day with this natural energy supplement while building long term health and wellness. Allergies and Colds are often attacked by suppression. A cold is a cleans that should not be stopped but “hastened.” Allergies are digestive problems in disguise and Flu's are a pathogen that can be eliminated through digestive enhancement. Simple problems - simple solutions. BrainOn™ is a proprietary and chemical-free extract of phenethylamine (PEA) and phycocyanin (PC) from aphanizomenon flos-aquae (AFA). Research suggests that PEA (also found in chocolate!) may support positive mood balance and give you the ability to manage everyday stress by modulating the release of neurotransmitters (Norepinephrine and Dopamine).Clinical research suggests that PC may support healthy, whole body inflammations responses. means “to put in order”, which is exactly what we do at Redd Remedies – we deliver natural health solutions to help you put your health in order. We understand that if a person’s health is not in order, it can become the focus of that person’s life. We also recognize that true health goes beyond what any supplement company has to offer, which is why we choose to work in the natural health and nutrition industry. Through the fusion of wholesome clean food, targeted high quality supplements, and qualified doctors with expertise in natural medicine, we address health from a whole body perspective. Helps support the upper respiratory tract and assists the body in maintaining healthy breathing passages .Sambu*Guard 17 oz. Backed by over 15 years of scientific studies and over 50 issued patents, Percepta™ is a natural plant-based memory support blend. Cogniben is a dietary supplement designed to support memory, mental focus, attention to detail and sharpness.